A programme of sacred pieces for the advent season, drawn from nearly 500 years of music. The first half includes Palestrina's Matin responsory 'I look from afar', two rarely heard pieces in Spanish by Zespedes and Cereols, beautiful arrangements of the Coventry Carol, Cherry Tree Carol and The Seven Joys of Mary, and Quem Vidistis Pastores by Dering, coming to a close with JS Bach's majestic Wachet Auf. After the interval there are some later works, including three carols by Richard Lloyd, two by John Rutter (There is a Flower and the Sans Day Carol) and two by John Tavener (Hymn to the Mother of God and God Is With Us). There is also a new arrangement of Righteous Joseph by Cantamus musical director Malcolm Knowles. 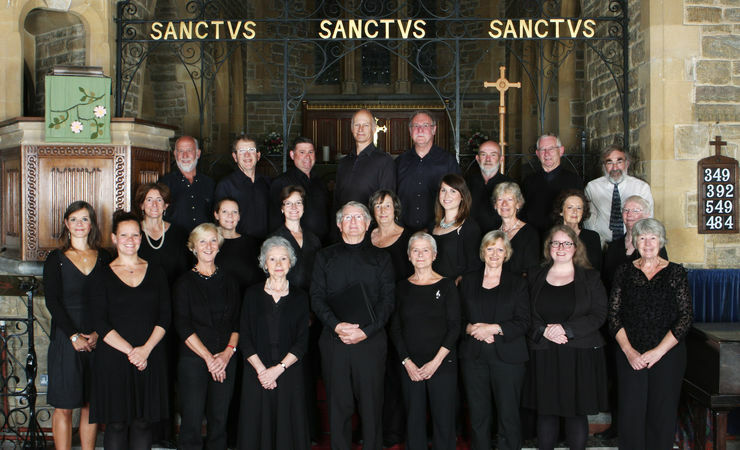 Cantamus is a group of singers whose aim is to select and perform the very best, and often unfamiliar, sacred, secular and consort music. The group's musical director is Malcolm Knowles, a St John's College Cambridge choral scholar, who studied singing in both the UK and Austria and has performed internationally as a tenor soloist in choral music and opera.